In 1969 I walked into the Kang Duk Won, and I found real Karate. I found Hell’s Angels and Imperial Bodyguards, cops and crooks, idiots and PHDs, all on the same mat. All working out. All seeking something that the western world had no idea existed, and…for the most part…still doesn’t. That’s right. Most martial arts have been severely watered down. I will get into the specific history on later pages, but for right now let me give you the thumb nail sketch. Karate came together in Okinawa. Okinawa was the gateway to the entire Eastern world for the last four hundred years, and every country brought their arts to Okinawa. Sailers and ambassadors, young men gone to study in foreign countries, all the martial arts of the world came together in this one, very important country. Okinawa, at the time, was ruled by two countries, Japan and China. Both countries came to call, and they brought troops, and they collected double the taxes, and they told the Okinawans that they couldn’t have weapons. Heck, every country with a ship and a couple of soldiers to its name imposed on Okinawa. The Okinawans realized that they would have to protect the king, so they formed the Imperial bodyguards. These bodyguards collected everything they could on unarmed martial arts, and they created this thing called Karate. Their techniques, though rarely seen, became the stuff of legends. Men who could break stones and coconuts with a chop, who could twist green bamboo until it snapped, who could face down bulls, who could…take the swords away from Samurai, from the best warriors Japan had to offer, and spank them with those swords. Japan decided to take over Okinawa, and the easiest way to do this was to command the King of Okinawa to come and live in Japan. Thus, the Imperial bodyguards had no one to protect, they lost their livelihood, and they had no more reason to practice Karate. Some of the bodyguards opened schools, some of them began teaching karate to the Okinawan school children. But, let it be noted that the karate taught to school children was redesigned so as to be able to be taught to masses of children, and it was watered down. It was watered down so that little Johnny wouldn’t maim some other little Bobby over lunch money. Some of the people who learned this new, but watered down, Karate went to Japan to teach. It is doubtful if they taught the Japanese the real Karate, even if they knew it. And it is certain that they used the same methods of teaching that were designed for Okinawan school children. Eventually Japan became involved in a world war, and they were conquered. The conquerers, interestingly enough, were fascinated by this Karate thing. So the Japanese taught them, using the same watered down methods, and the same inadequate teaching methods. It is doubtful whether the Japanese taught the Americans the real Karate…even if they knew it. The Americans went home, and they began teaching Karate. And, to stay in business, they began holding tournaments, and holding students to contracts designed by car salesmen, and using the same old inadequate teaching methods, and teaching the same watered down techniques. Now, so far you have read about the dilution of Karate, the destruction of Karate. But there is a side of the story that you haven’t heard. There is the tale of the one man who saved the True Art of Karate. You will find his story, who he was and what he did, on the next page. Take me to The Man Who Saved Karate! Hi Mr. Case sorry for not getting back to you sooner. Yes my father did show me some of the martial art but he mainly focused on with me a more Freestyle form. Being quick with my hands and my feet for offense and defense. Also pressure points and sticky hand. Sadly on 12/07/2011 my Dad had a stroke and two days later we had to let him go. I am really interested in speaking with you more. I would really like to tell you how I feel his training served him on his last day. Mr. Case I’m looking for something and maybe you can help me find it. Hope to hear from you soon sir. 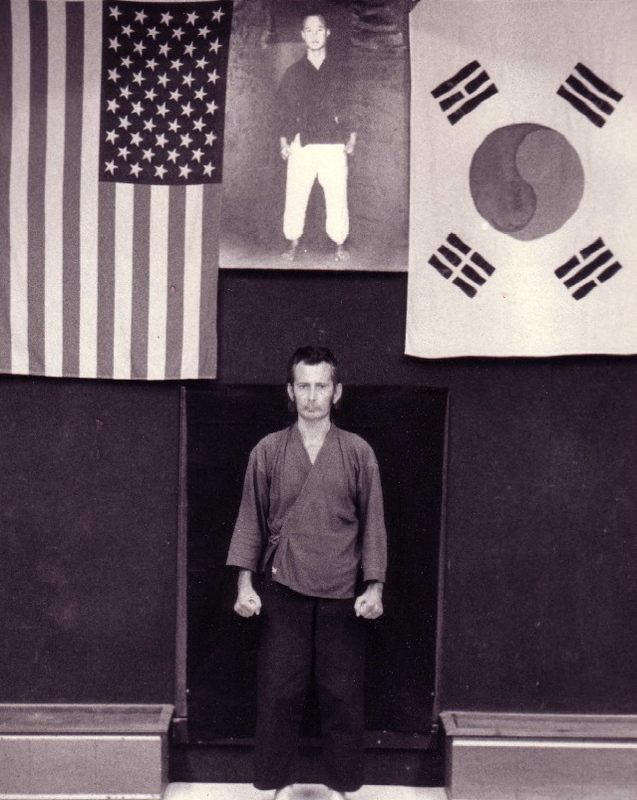 Robert Babich was my husband’s first martial arts teacher and whom is held in much respect and admiration. It would be a great gift if I can obtain a copy of the picture of Master Babich in this article, to frame as a gift of love and respect for my husband. Please, kindly let me know if this is possible.